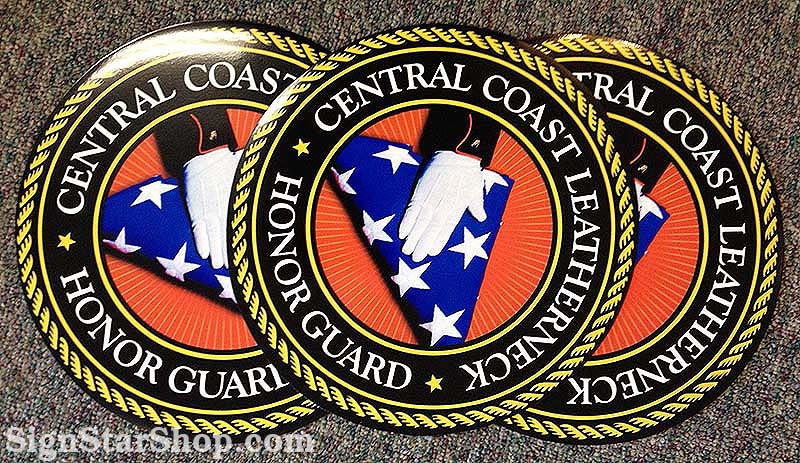 Our banners can be a very basic single color deal all the way up to a photograph rich full-color banner. 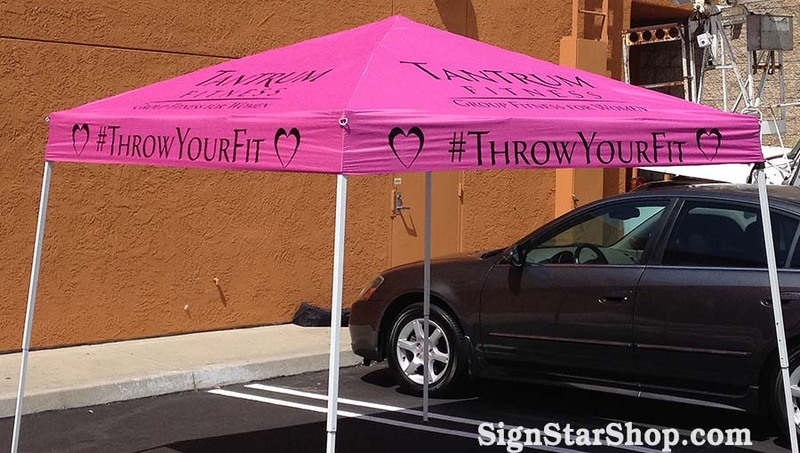 Any size from 1’x1′ on up to 4’x35′. 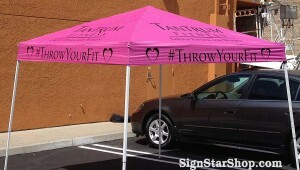 We can even make banner stands for trade shows and booths. We can also do custom vinyl signs which can be put onto glass doors and windows, walls, vehicles and more. 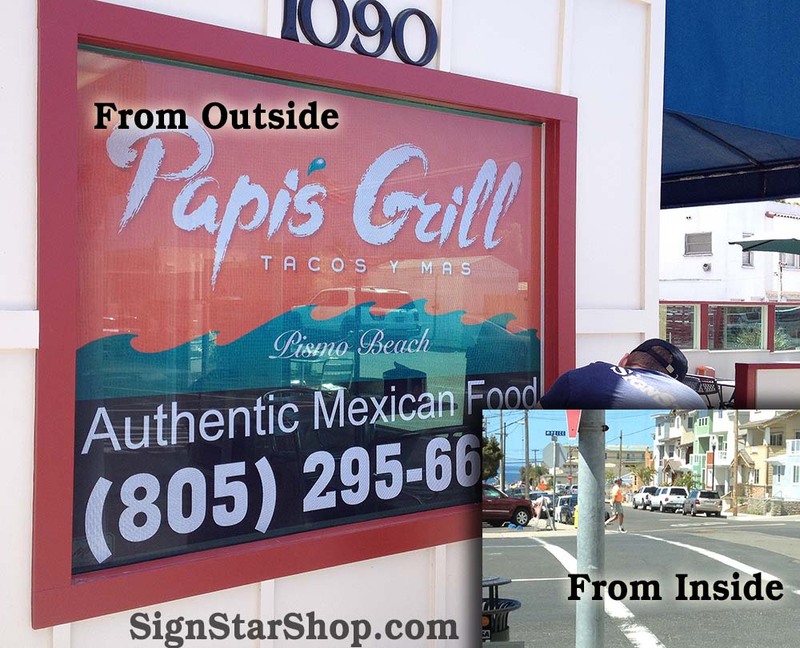 Our view-thru window signage is truly impressive – not only does it cut down on heat and UV damage to merchandise, but it’s a great way to effectively advertise without impeding any inside-to-outside visibility. 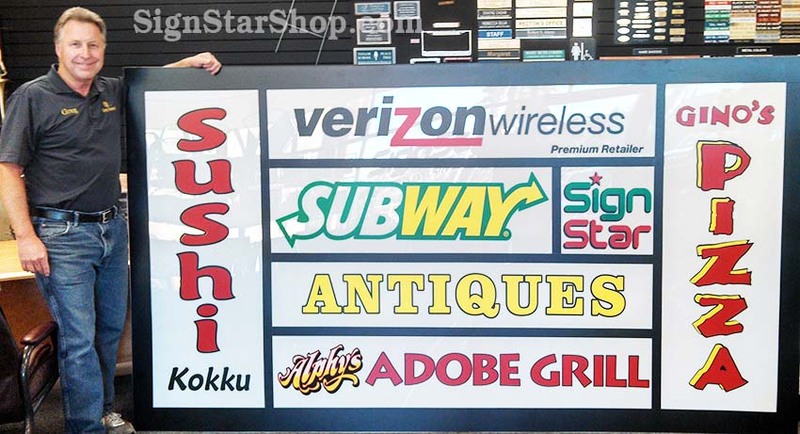 Our sign capability also includes backlit signs which are inserted into light boxes as well as pole mounted directory signs. 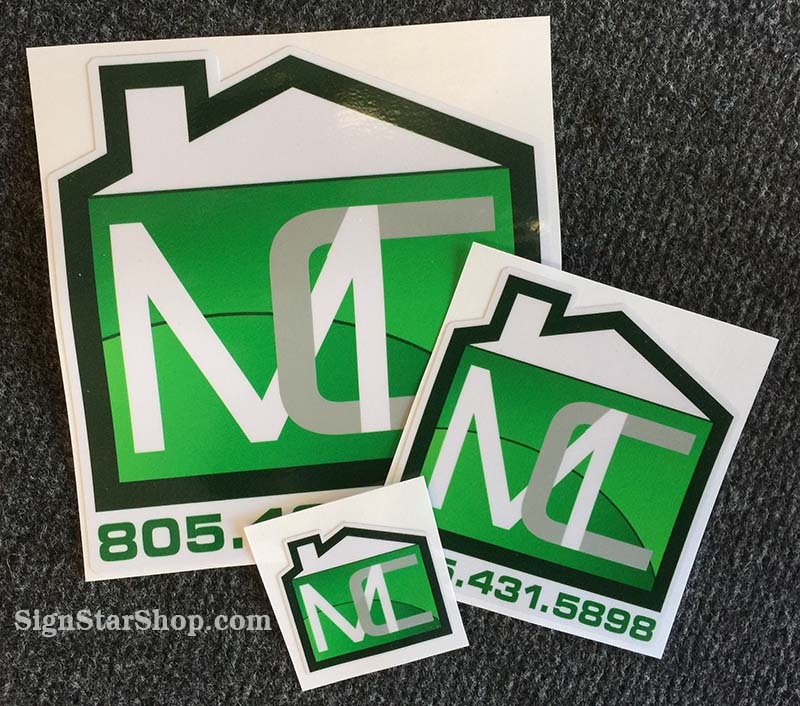 We can also do vinyl stickers, die-cut to any shape or size! 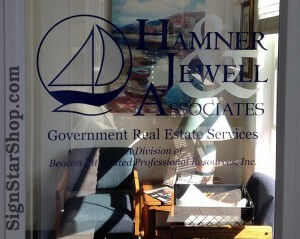 Put them on service repair jobs, decorate a room, or identify property using custom information. We can also the 2″ rounds known in the awards industry as “mylars” which are used for trophies and award medals. 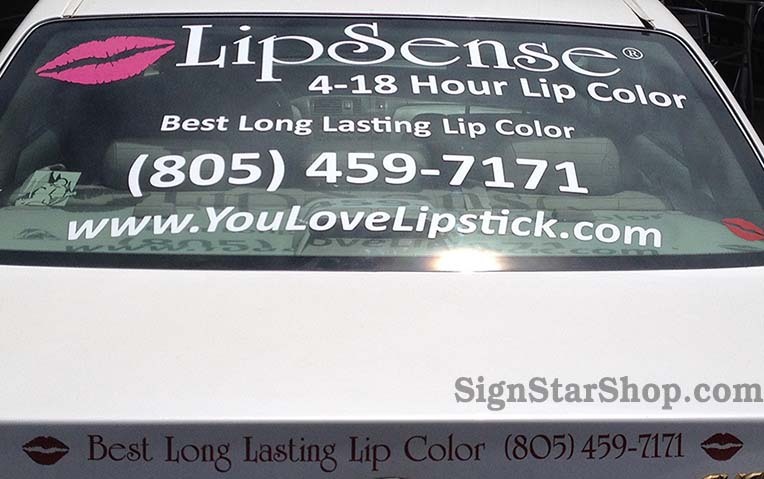 Our mobile signage is also just as custom. 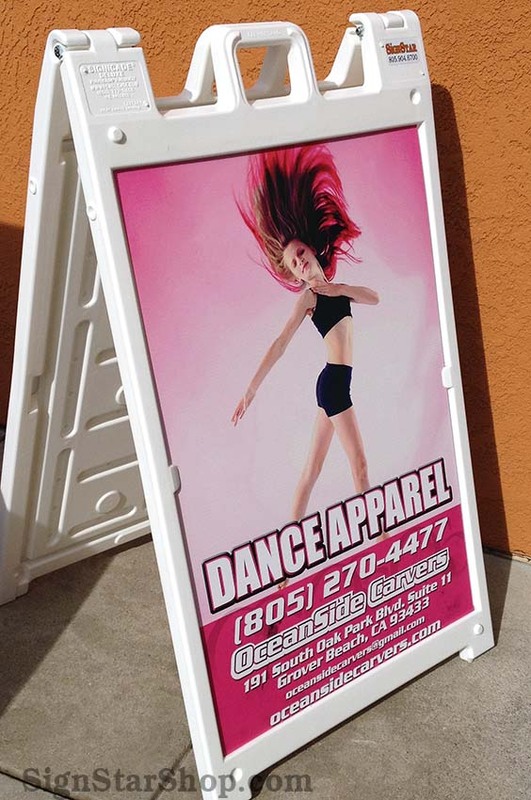 We offer a variety of A-frame options, yard signs and magnetic car signs. 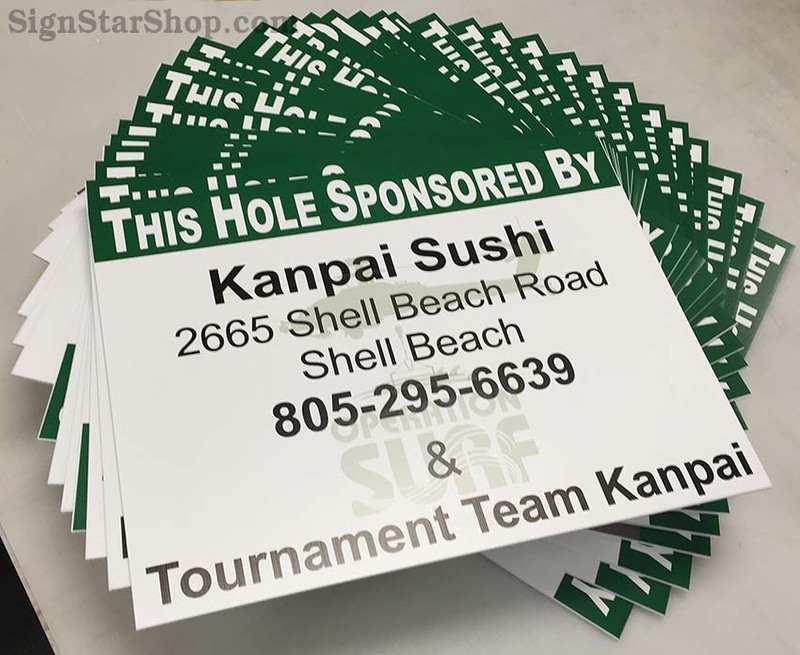 When it comes to personalized items, from trophies and plaques on up to business signage and banners, we’re your one-stop solution destination. 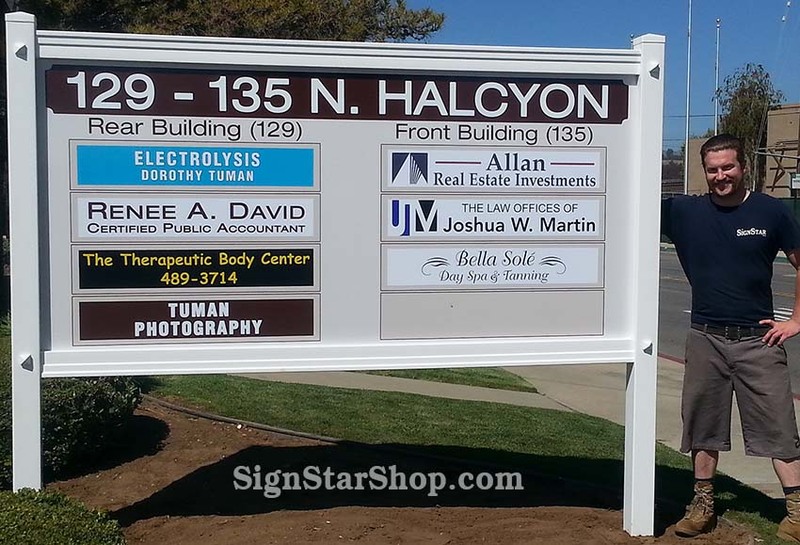 Check out our sign specific web site for more information! You can even order online through us there anytime.